Announcing our partnership with bira – and a special offer for UK retailers! Independent retail stores are the backbone of every UK town – they bring people together, support other local businesses, create a sense of community, and open their towns up to the world. We love to help local retailers succeed and bring beautiful shopping experiences to the High Street, and are proud to have been working with retail stores across the UK for a few years now. The British Independent Retailers Association (bira) does amazing work for UK retailers – and they’ve been doing it for much longer than we have! For 117 years they’ve been supporting independent retailers in all kinds of industries and sizes. They’re now the UK’s largest independent retail network with over 6,500 members. So we’re pretty excited to be partnering with bira as their chosen ePOS for retail stores. 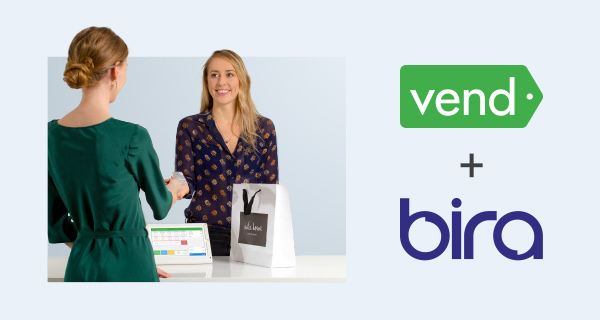 Together we’ll be working to give support, information and inspiration to independent retailers, while offering benefits and business services with Vend which aren’t available to anyone else! We’re so excited to start working with such an incredible organisation, and can’t wait to bring remarkable retail to more UK businesses! The post Announcing our partnership with bira – and a special offer for UK retailers! appeared first on Vend Retail Blog.